Lazy day today, too much Irish partying last night. I'm not sure what these flowers are, spotted them in central Califonia inland. 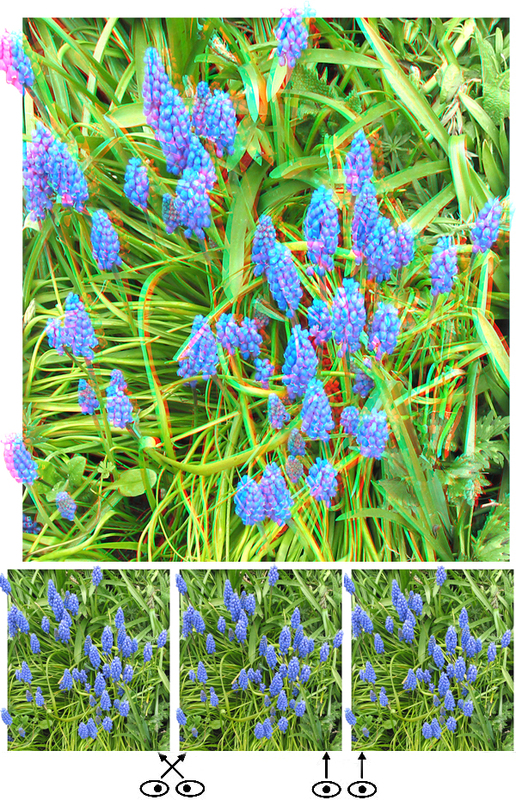 With the green grass backdrop they make for a fairly colorful anaglyph image. I send out a weekly email of these. If you'd like to be included, please go to the contact page and send me an email.